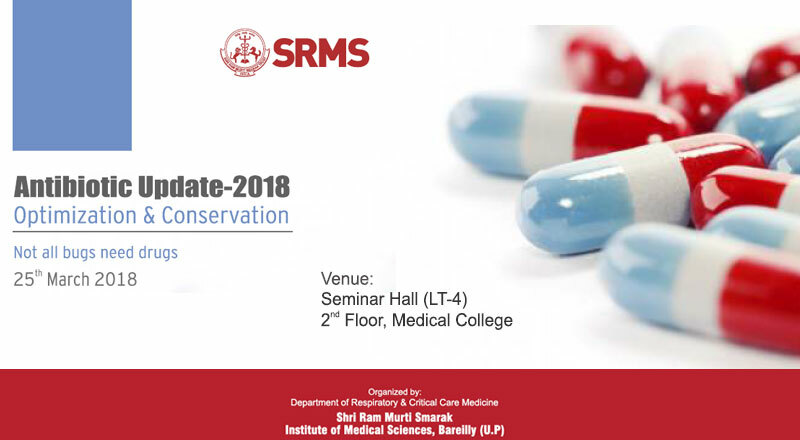 The department of Respiratory & Critical Care Medicine takes great pleasure in inviting you to a unique academic feast, “Antibiotic Update-2018: Optimization & Conservation” at Shri Ram Murti Smarak Institute of Medical Sciences, Bareilly on 25th March, 2018. This CME will have scientific lectures and interactive discussions by guest faculty of international repute. We are sure that this will be an excellent opportunity for all delegates to enhance their knowledge and skills.